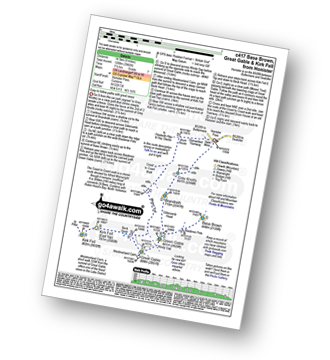 - Honister Pass - Honister Hause - Grey Knotts - Brandreth - Blackmoor Pols - Base Brown - Mitchell Cove - Green Gable - Windy Gap - Great Gable - Westmorland Cairn - Beck Head - Beckhead Tarn - Kirk Fell (East Top) - Kirk Fell - Moses' Trod - Wainwright's Coast to Coast Walk - Honister Pass. 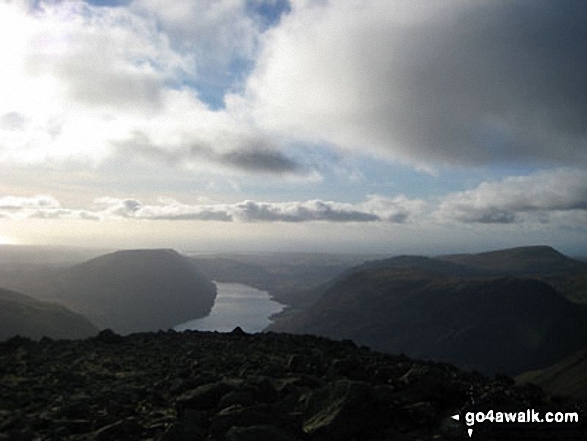 Completing this walk also take you to the top of Kirk Fell, 802m (2632ft). 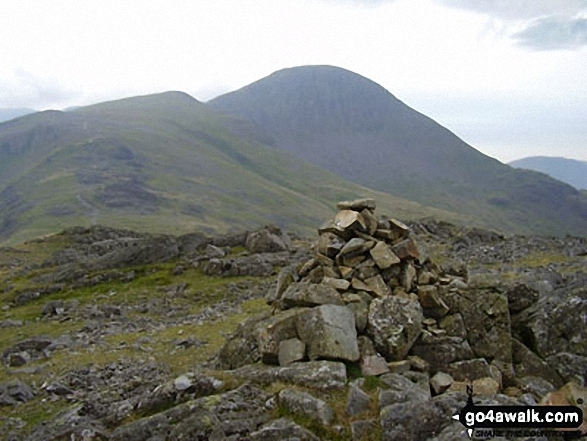 Kirk Fell is classified as an English Mountain (Hewitt) (38th highest in England, 72nd highest in England & Wales) and a Wainwright (No. 33). 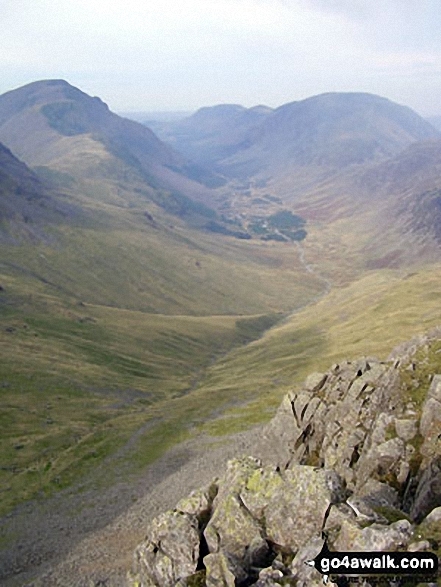 Kirk Fell is also known as an English Nuttall (46th in England, 88th in England & Wales). 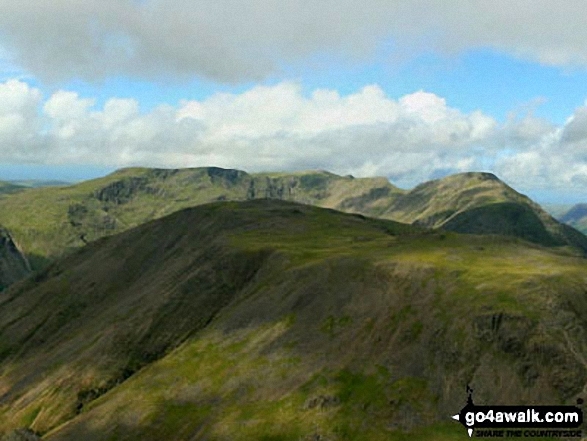 Kirk Fell is classified as a Marilyn (15th highest in England, 387th highest in the UK). 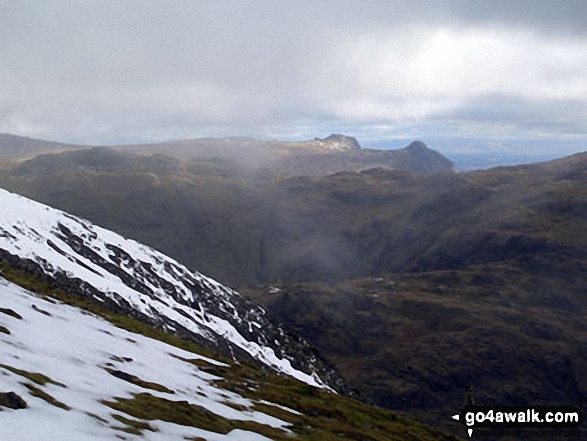 You will also reach the summit of Green Gable, 801m (2629ft). 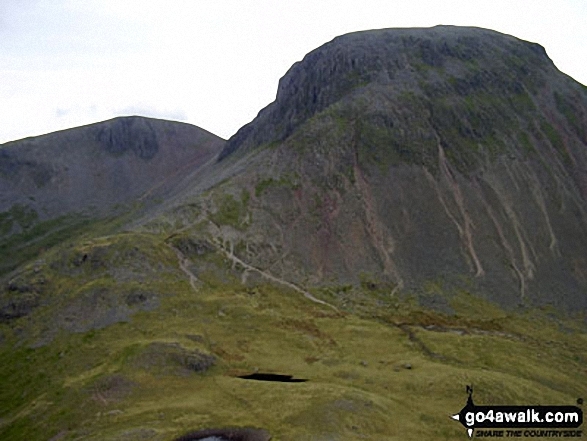 Green Gable is classified as an English Mountain (Hewitt) (41st highest in England, 76th highest in England & Wales) and a Wainwright (No. 34). 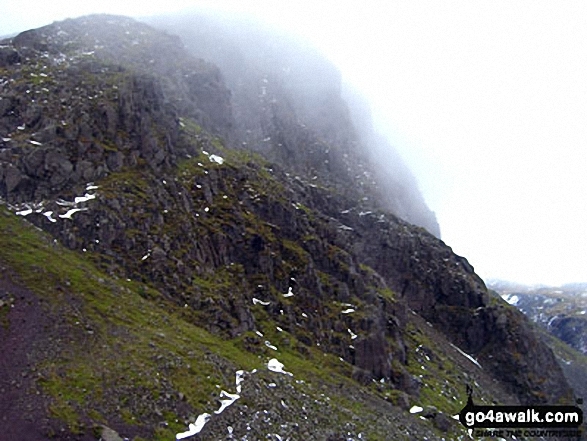 Green Gable is also known as an English Nuttall (49th in England, 92nd in England & Wales). 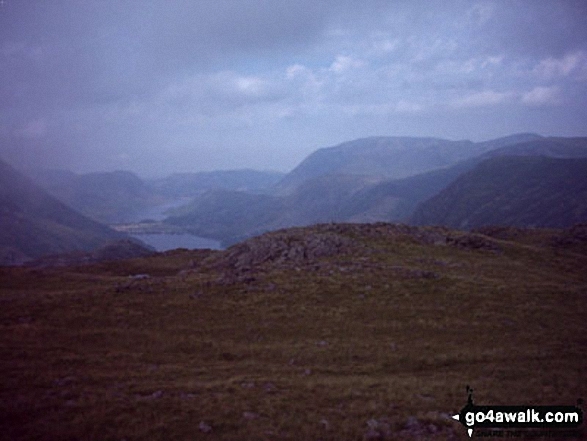 Along the way you will also bag Kirk Fell (East Top), 787m (2583ft) - an English Mountain (Hewitt) (50th Eng, 90th Eng & Wal) and an English Nuttall (59th Eng, 108th Eng & Wal); Brandreth 715m (2347ft) - an English Mountain (Hewitt) (90th Eng, 154th in England & Wales), a Wainwright (No. 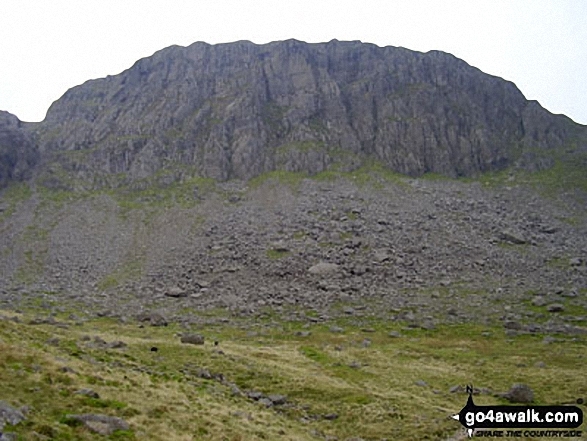 81) and an English Nuttall (114th Eng, 193rd Eng & Wal); Grey Knotts 697m (2288ft) - a Wainwright (No. 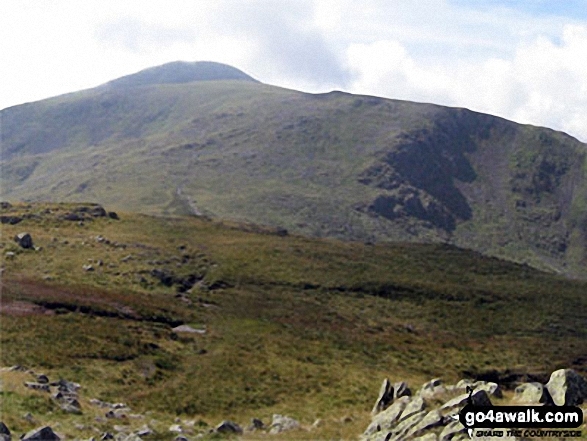 92) and an English Nuttall (138th Eng, 227th Eng & Wal) and Base Brown 646m (2120ft) - an English Mountain (Hewitt) (148th Eng, 255th in England & Wales), a Wainwright (No. 117) and an English Nuttall (198th Eng, 340th Eng & Wal).